With summer ending, it’s time to start planning that winter getaway. But this year, instead of blowing cash on a hotel, consider taking advantage of that depressed global real estate market: Invest in property abroad. But where? This Central American nation is rougher than its southern neighbour, pricey Costa Rica, but top-notch surfing, an unbeatable climate – and tremendous deals – are attracting bargain hunters. $20,000 gets you a 6,000 square-foot lot near San Juan Del Sur’s 14 white-sand beaches. After a brief, promising financial recovery, Argentina’s in shambles again. Which means deals! Deals! Deals! $135,000 gets you a three-bedroom flat in downtown Buenos Aires, home to beautiful women, thick steaks and strong coffee. Forget Italy. Since declaring independence in 1995, Croatia’s been attracting jetsetters with pristine beaches and a unique blend of European cultures. 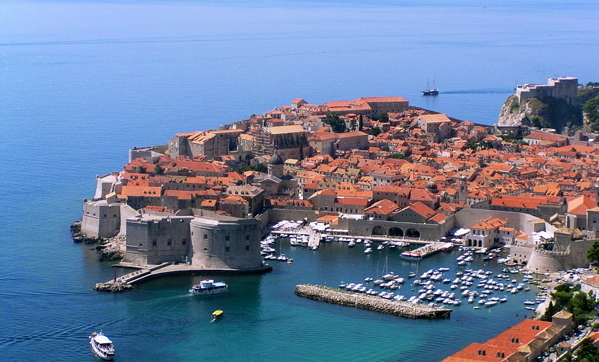 $400,000 gets you a four-bedroom apartment just outside Dubrovnik (above), a UNESCO-protected town that overlooks the yacht-filled waters of the Adriatic Sea. Often overlooked, Ecuador is the most biologically diverse country in the world, and it’s home to some of the world’s best-preserved Spanish colonial architecture. $90,000 gets you a 17th century-style condo in Quito, complete with balcony, volcano views and year-round balmy weather. Image courtesy of Gari.Baldi on Flickr. Where did you see a three bed flat n B.A. for $25k? I’m no expert in Argentine real estate, but I couldn’t find anything even close to that price range… More like $150k to $200k USD. Michael: Indeed, you are correct. Our regrets. An error somehow occurred in the editing process, and a digit was lost. We’ve corrected it above, and linked to a sample property. Yours for a still very reasonable US $124K! Thanks for your note.